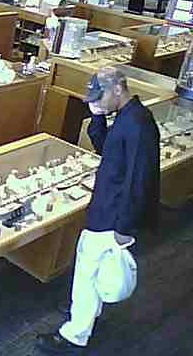 KPD needs help identifying thieves. The Killeen Police Department was contacted by an employee of the Hobby Lobby, located at 2002 E. Central Texas Expressway, on February 4, 2015, and advised them that the two people pictured were inside the store on January 24, 2015, and stole several items as well as short changed the cashier, then fled the store. The employee told officers that the black male and black female approached the cashier to purchase a small ceramic pot. The male then asked the cashier to break a $100 bill, which they did. The male then created confusion when he began asking for change from the original amount he was given, the cashier not realizing it, gave the male an extra $100. The female then dropped the ceramic pot to cause a diversion so that she could leave the store with items she never intended to purchase. The male followed shortly afterwards. Detectives are asking anyone who can identify the thieves in this photo to please contact Crime Stoppers at 526-TIPS (8477) or go online anonymously at www.bellcountycrimestoppers.com or text BELLCO anonymously along with the tip to 274637. Text HELP to 274637 for help with the tip or text STOP to 274637 to stop the tip. Message and Data Rates may apply. All information is confidential and if your tip leads to the arrest of the suspects responsible for this crime, you could be eligible to receive up to $1,000 in cash. 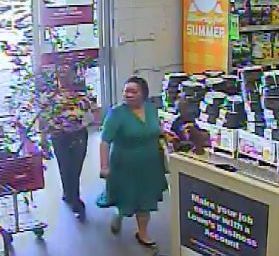 Killeen Police need your help identifying a female suspect who used a debit card that was stolen from a vehicle. Officers filed a report for a burglary of a vehicle that occurred between 5:00 pm and 10:30 pm, on Thursday, August 7, 2014, in 1100 block of S. Fort Hood St. Officers were told by the victim that while she was working someone broke out the passenger side window of her white, 2004 Chevy Impala. The victim noticed that her debit card and other items were missing and when the victim contacted her bank they told her that her debit card had already been used. 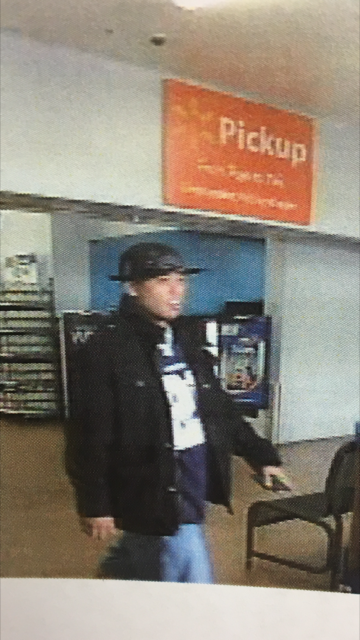 Detectives provided security video of the suspect using the stolen debit card. The suspect is a light skinned black female wearing a black ball cap with white lettering on it, a black t-shirt and blue jean shorts. 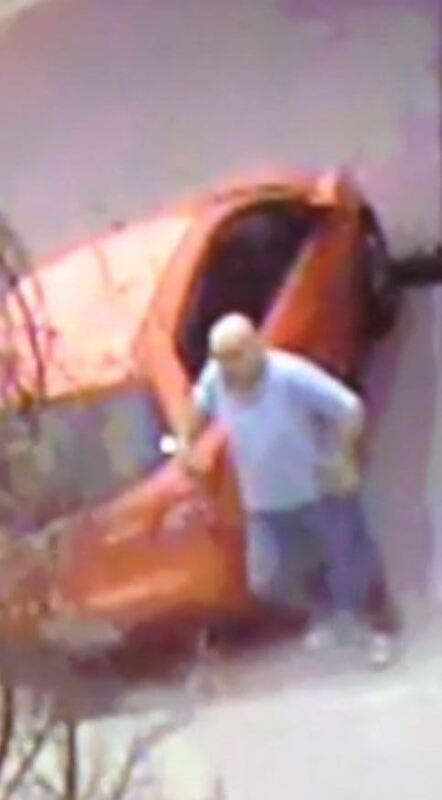 Detectives are asking anyone can identify this suspect or has information about this incident to contact Crime Stoppers at 254-526-TIPS (8477), go online at www.bellcountycrimestoppers.com or text BELLCO along with their tip to 274637. Text HELP for help with the tip or text STOP to stop the tip, message and data rates may apply. All information is anonymous and confidential and if your tip results in the arrest of the suspect involved in this crime you could be eligible for a reward up to $1,000 in cash. The Killeen Police Department is asking for assistance in locating the female in this photo. 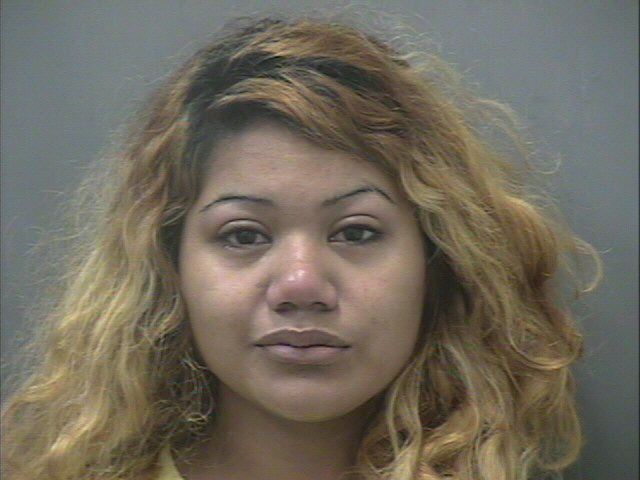 The female is this photo has assumed the name of Teresa Ann Mercado and we know this is not her real name. Detectives need to speak with this woman and are asking anyone if they may know her whereabouts or might have any information. If anyone can identify this suspect they are asked to contact Crime Stoppers at 254-526-TIPS (8477) or go online at www.bellcountycrimestoppers.com or text BELLCO along with the tip to 274637. Text HELP for help to 274637 or STOP to stop to 274637. All information is confidential and you can remain anonymous. If you tip leads to the arrest of the suspect involved in this crime, you could be eligible for a reward up to $1000 in cash. Killeen Police are asking for the community’s help in identifying and locating a suspect using stolen debit/credit cards. The victim came into the Killeen Police Department on Saturday, June 21, 2014, after noticing an unauthorized debit/credit card purchase in the amount of $900.00 was made with his debit/credit card at the Lowes Home Improvement Store in Killeen. The victim does not recognize the suspect and has no idea how the suspect obtained the debit/credit card information because the victim never lost possession of the card. 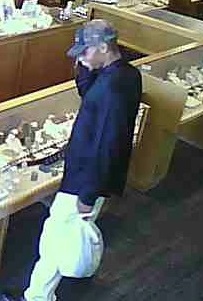 Detectives have attached a photo of the suspect. 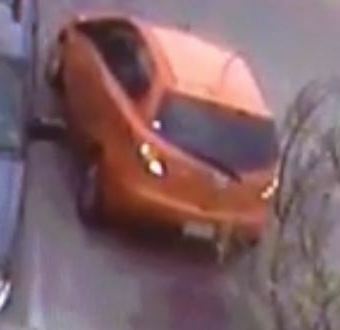 The suspect appears to be an Asian female with long black hair, heavy set and medium height. 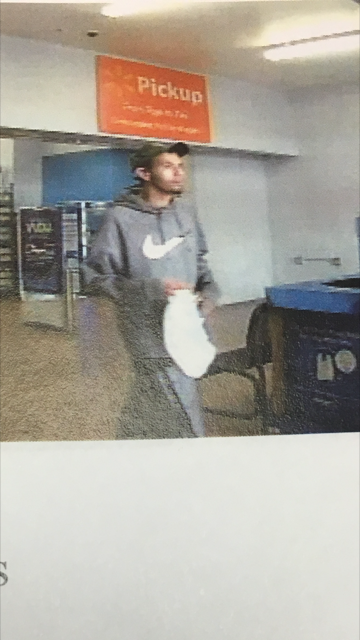 At this time it is known that this suspect used at least two stolen debit/credit cards to purchase about $2,000.00 in gift cards from the Lowes Store. Detectives are asking anyone who can identify this suspect or has information about this incident to contact Crime Stoppers at 254-526-TIPS (8477), go online at www.bellcountycrimestoppers.com or text BELLCO along with their tip to 274637. Text HELP for help with the tip or text STOP to stop the tip, message and data rates may apply. All information is anonymous and confidential and if your tip results in the arrest of the suspect involved in this crime you could be eligible for a reward up to $1,000 in cash.